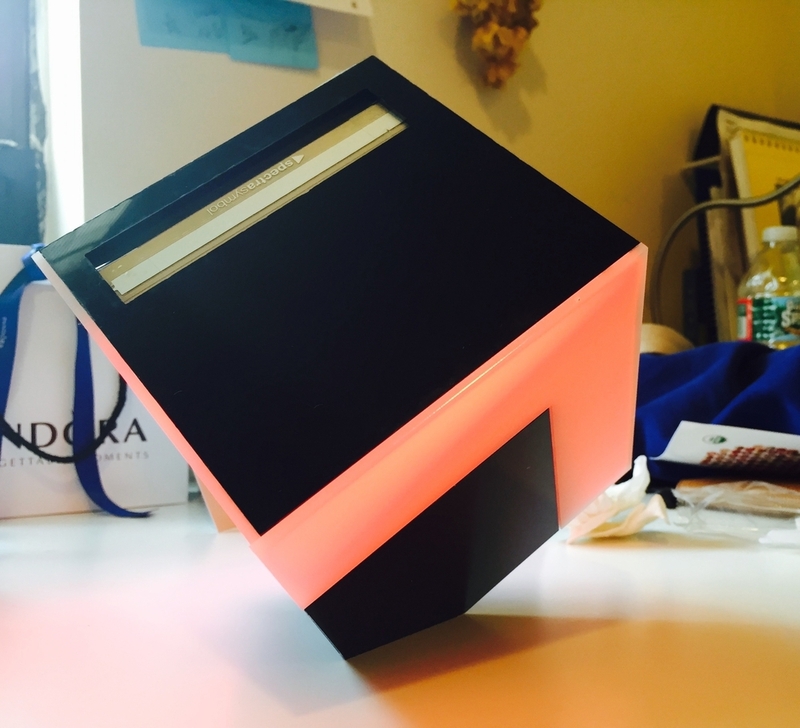 PIXELS is a series of light-emitting objects and an iOS application that blends digital and physical spaces. We live in a world in which the digital and physical are intertwined. At this point, it would be impossible to separate them. In the project, it asks how much we perceive their co-existence. It aims that the users to ask how much we are adapting to the blended environment. A white box shape in app represents connected PIXELS object. Users can drag around the box shape to catch other preferred color in digital environment(app). 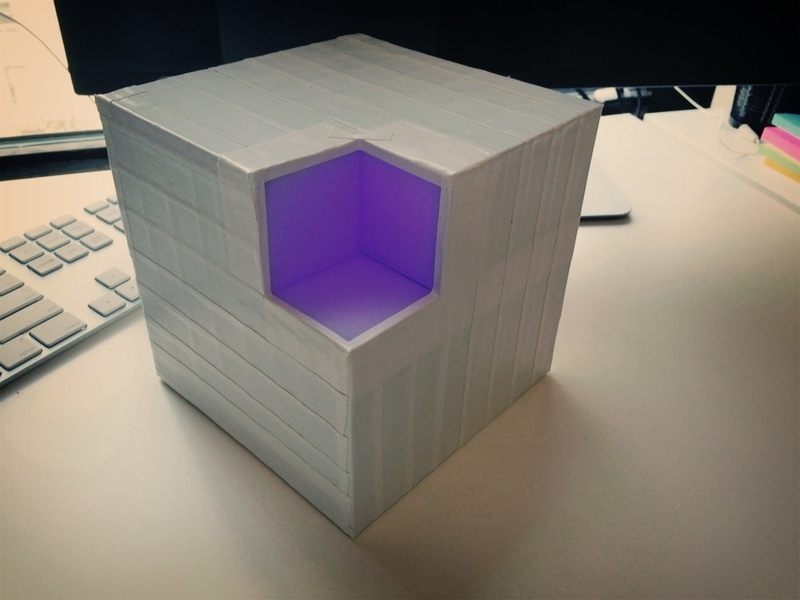 Object PIXELS has three side light emitting part creating illusion: 2D and 3D. There are several ways of playing with the PIXELS. 1. Displaying and coloring the objects creatively to make their own shape of light effect(lamp). 2. Connect to the iOS app "PIXELS" and play with color changes created by digital environment. At the moment a fish passes by the white box in app, the object PIXELS change its color to correspond color - red. Object PIXELS has a flatten edge which opens the object's display possibilities. Users can connect to up to 4 PIXELS objects with the app "PIXELS" and see multiple square box appears on the screen. Each one box correlates to specific connected object and show the same color of pixel. UX Example 01 : (single user) play with dragging boxes on the screen to catch the fishes. challenging to change the color of light object as much as they can. UX Example 02 : (multiple user) a person drags the boxes on the screen and place the boxes in certain order or shape. the other person challenges to find out which PIXELS object connected to which white box on the screen and place the object in a same order of shape that the other made. The creation of dynamic environment reflects our reality. It tells digital environments are going to be more and more similar to reality while the reality actually assimilates digital culture. As a result, it shows how much digital environments and reality are blended in these days.